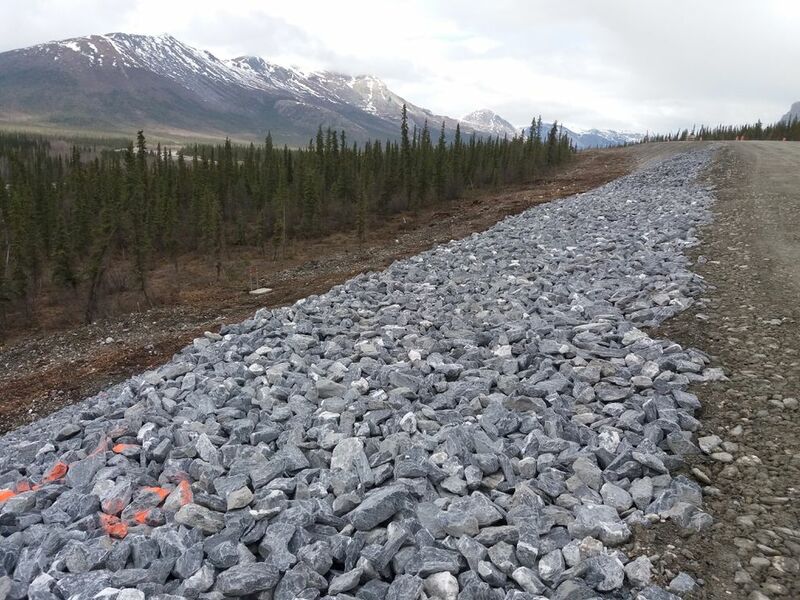 Alaska highway workers have moved the Dalton Highway to protect it from a giant mass of frozen debris oozing down a hillside. The roughly mile-long frozen debris lobe, consisting of dirt, ice and trees, is informally called "the blob." It threatened to bulldoze away a section of road more than 200 miles north of Fairbanks in three, maybe four years, transportation officials said. 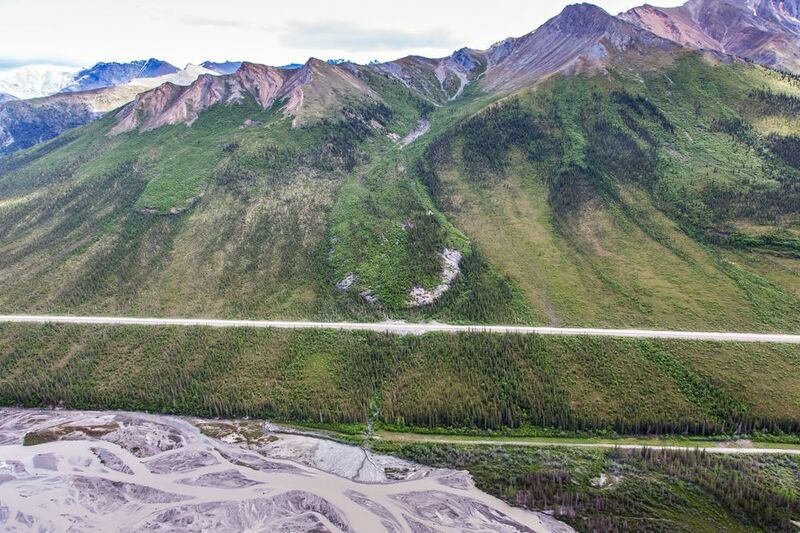 So the state has moved the road farther downhill, buying itself 20 or so years before the blob can menace it again, at a cost of about $2 million, said Jeff Currey, a materials engineer with the Alaska Department of Transportation and Public Facilities. Motorists, often truck drivers delivering supplies to the North Slope oil fields, were rerouted onto the new gravel road starting Aug. 31, the agency said. 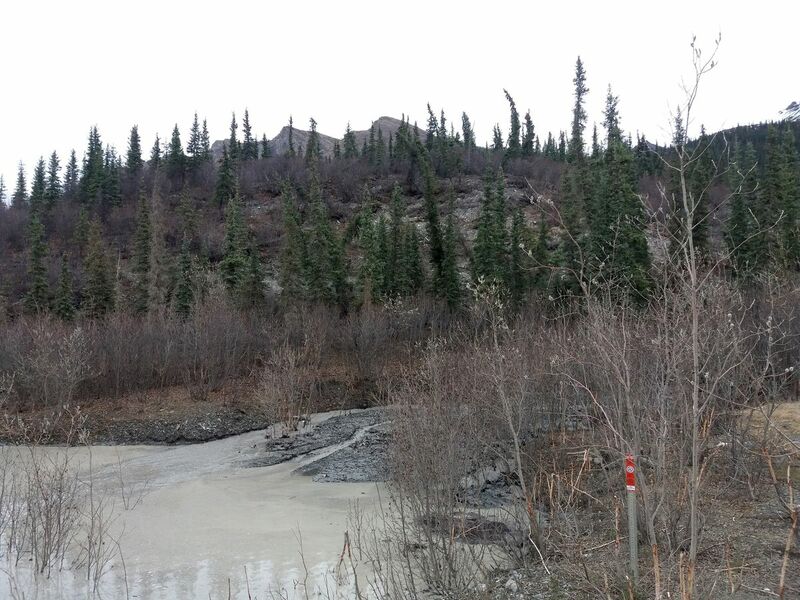 The lobe, essentially a slow-motion permafrost landslide, measured up to 90 feet thick and 850 feet wide last year. Frozen lobes were created eons ago after retreating glaciers left basins that collected dirt and other debris. Water and snowmelt mixed in and froze, helping make permafrost. Partly because of pressure, the lobe is thought to contain supercooled water that remains liquid though its temperature is slightly below freezing. The water helps the lobe slide. Moving at a 15-foot annual pace, the lobe's leading edge had begun to enter the highway right of way at Milepost 219, causing mud and gravel to clog drainage pipes in 2017. Higher temperatures, causing more snowmelt to drain into the mass, is believed to have accelerated its creep. The state considered lots of options to stop the lobe from T-boning the two-lane highway. The idea of blowing it up was quickly tossed. Building a bridge over it was too expensive. Dismantling it would have created too much stuff to haul away. So the state decided the best bet was realigning 4,000 feet of road. The new section was built about 400 feet west, part of a 15-mile, $25 million overhaul of the so-called haul road. The state is leaving the old road in place, as an experiment designed to inform transportation managers about threats from other lobes. Other gigantic slugs of permafrost are moving downhill in the Brooks Range, and could one day threaten the road. Scientists with the University of Alaska Fairbanks will watch what happens, said Currey. It's not known whether the lobe will simply ooze over the road or take it out. Maybe the road will stop it. "Learning about the behavior of these things will be useful in the future," he said.